Summer, warm weather, picnics and holiday parades – a perfect time to enjoy a fine cigar. My selection is the Montecristo #2 handmade in the Dominican Republic. Many consider the famous Montecristo cigar brand to be the finest cigar in the world. Montecristo is among the youngest (the most recent addition was Cohiba) of the traditional Cuban cigars now made in the Dominican Republic. It was founded in 1935. Our offering is hand rolled using high quality long filler and binder tobaccos. It is then finished with a USA Connecticut shade wrapper. This refined smoke starts mild-to-medium and remains consistent throughout the entire cigar. It’s one of our most popular cigars. At 6 x 50, the #2 has the same roll as the familiar Toro shape, but it has a tapered head, hence the Torpedo designation. A brief historical side note: Before the advent of radio, it was common place for the rollers to be informed and entertained by a reader or lector. Legend has it that their favorite story at the cigar factory in Cuba was Alexandre Dumas’ The Count of Montecristo, hence the name given to the cigar. I would pair the #2 with Kirk & Sweeney 12yr rum also from the Dominican Republic. This is rich but somewhat drier than many other aged rums and it works well with the cigar’s hints of vanilla and spice. It’s a great pairing. This entry was posted in Cigars and tagged cigar, montecristo, rum on June 7, 2017 by bottlesfinewine. Hillrock Estate Distillery. Grain to Glass. Barrel to Bottles. On a beautiful winter day at Hillrock, Dave shared with us his philosophy of distilling (“Play with your whiskey. You can’t be lazy with it. You’ve got to get your glasses steamy.”) and his thoughts on what makes the estate so distinctive. And of course, we tasted. After sampling more than 8 single barrels, we settled on Barrel No. 40. We were charmed by its full, creamy and smooth mouthfeel, the Hillrock characteristic hints of clove and cinnamon, and its warm, long finish. Limited quantities of The Hillrock Estate Double Cask Rye – Bottles Edition, are on sale now exclusively at Bottles. Make it the perfect Father’s Day gift this year by pairing it with an AVO No. 9, a mild-to-medium cigar with a smooth and slight spicy flavor. $100 for the pair, while supplies last. Show your dad he’s one of a kind and give him this one-of-a-kind whiskey, available only at Bottles. This entry was posted in Cigars, Distillery Tours, Learn About Spirits and tagged dave pickerell, distiller, hillrock, hillrock estate distillery, rye whiskey, whiskey, whisky on June 11, 2015 by bottlesfinewine. Warmer weather means cigar season is here! The most recent addition to our humidor is the Smoking Monk series from the cigar firm of Drew Estate. Among their familiar labels is the Acid line (we have the Acid Blondie in stock). The Smoking Monk series has five blends all intended to match with specific beer styles. All five are rolled only in a generous 6 x 54 shape. This is a lengthy smoke for perhaps relaxing on the 19th hole or while playing a round of golf. The Hefeweizen blend is on the mild side and an easy smoke. I smoked all five blends and prefer the fuller style of the remaing four: they are Imperial Stout, American IPA, Porter, and Triple Belgian. The Smoking Monk is well constructed and contains high quality tobaccos. Any of these blends smoke well with a fine beer or ale, or simply by itself. Enjoy one during the Masters Tournament this weekend! This entry was posted in Cigars and tagged beer, cigar, drew estate, pairing, smoking monk series on April 7, 2015 by bottlesfinewine. Last week, you may have read about the Classic Corona — here is another cigar from our selection from the highly regarded 5 Vegas family, Gold Nugget. A great cigar at a great price, Gold Nugget mild enough for an early morning or afternoon cigar. The Gold blend is finished with a mild Ecuador Connecticut wrapper, making flavorful with a slightly sweet finish. If you are new to smoking cigars or simply want a mild afternoon smoke, this is the perfect smoke. At 4.5 inches by a 44 ring, it is an ideal size for a cocktail or aperitif. Need a pairing idea? Try an aperitif or summer cocktail – like a Pimm’s Cup, Grumpy Cup, or your favorite summer ale – no jet fuel required! A classic summer refresher, and popular in Britain, a Pimm’s Cup is easy to mix up. Fill a tall glass with ice, pour in about 2 ounces of Pimm’s No. 1, and fill the rest with your favorite ginger beer. Garnish with a slice of lemon or cucumber. Pimm’s No. 1 is a gin-based liqueur, dark in color, and with some lovely citrus and bitter notes. Combined with Fentiman’s ginger beer, you can have a few and still be standing. A tasty drink to pair with this light cigar! This entry was posted in Cigars and tagged 5 vegas gold nugget, cigar, cigar pairing, cocktail recipe, pimm's cup, providence, ri, store on August 5, 2014 by bottlesfinewine. New cigars at Bottles! And we recommend you enjoy 5 Vegas Classic Corona with a stronger drink – Clément V.S.O.P. Agricole Rhum, a barrel-aged sipping rum. Rich and strong without being overly powerful, the Classic is blended to smoke like a Cuban cigar. A winning pairing to enjoy on late summer evenings. 5 Vegas (Farms) Classic is an exceptional smoke. It receives consistently high ratings, and ranked as one of the best non-Cuban cigars in a Cigar Aficionado blind taste test. The long fillers are a blend of Dominican and Nicaraguan tobaccos, and it is finished with a rich, flavorful Sumatra wrapper. This is a medium bodied smoke, with earthy flavors and just a hint of cedar. The Corona size is perfect for a 45 minute smoke. Your new go-to cigar! Pair the Classic with Clément V.S.O.P. Rum, an Agricole Rhum aged a minimum of four years. What makes is rum special and sippable is how it’s made – from freshly pressed sugarcane juice, which is then matured in oak barrels. The barrels impart a deep, rich mahogany color and notes of caramel, dried fruits, and spices. The long finish makes this a superior sipping rum to complement the Classic cigar. This entry was posted in Cigars and tagged cigar, pairing, rum on July 30, 2014 by bottlesfinewine. Learn about Cigars – Video with Don! Interested in learning more about cigars? But, how do you choose the right one? Watch Don’s video to see an expert’s guide to cigar wrappers, cutters, and lighting. This entry was posted in Cigars and tagged brands, cigar, cutting, how to, information, selecting, wrappers on July 22, 2014 by bottlesfinewine. Sometimes, there’s nothin’ better than the perfect drink and a cigar to match. Don’s selection this week is Alec Bradley Occidental Reserve Corona ( 6 x 43 ). The ultimate compliment to this cigar? Henry McKenna 10 Year, a Bottled-in-Bond, Kentucky Straight Bourbon Whiskey. Don first smoked this brand when it was first introduced in the 1990’s. A consistently high quality cigar from one of the Dominican Republic’s outstanding cigar factories, and the same factory that makes Avo cigars among many. Occidental Reserve is a blend of three Dominican tobaccos along with Indonesian longfiller, finished off with a Connecticut shade wrapper. The smoke is well balanced; expect an even draw and burn. A fine quality cigar and great value! Occidental Reserve needs to be paired with Henry McKenna 10 Year. Smooth and creamy, seductively full-bodied, and one of the best bourbon values at Bottles. 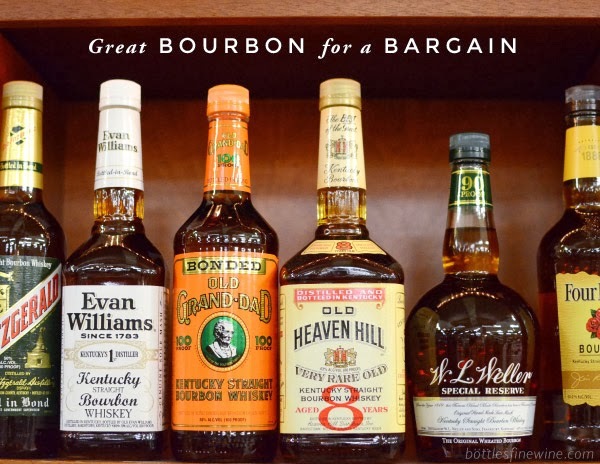 It’ll be tough finding a better value, 10-year-old bourbon than Henry McKenna. Cheers, and enjoy! This entry was posted in Cigars and tagged alec bradley, bourbon, cigars, henry mckenna, occidental reserve corona, pairing on June 25, 2014 by bottlesfinewine. Our selection this week is Alec Bradley Connecticut Tubo, a mild to medium bodied toro (6 x 50). It has a smooth Connecticut Ecuador wrapper and a mixed filler of Honduran and Nicaraguan tobaccos. This is mild enough to be a nice afternoon smoke, but rich in flavor with notes of cedar and earth. The packaging includes the ever popular metal tube. Golfers and boaters love the convenience of the tube – no crushing in the golf bag or in an overnight bag. Also, the tube protects the cigar in place of humidification, perfect for someone on the go. Because this cigar so perfectly embodies summer, Don is pairing it with the cheerful and crisp Geary’s Summer Ale. Brewing right out of Portland, Maine, Geary’s does summer right with rich, spicy hop tang, similar to a German Kölsch. This is an easy-drinking golden ale with aromas and flavors of caramel, buttered rum, herbs and a dry finish. It comes in a can, so it can be thrown together with your Tubo for a relaxing day out on the course…or wherever! Each season, the crew at Geary’s, in partnership with the Maine College of Art awards a scholarship to the student who submits the best new design for the Summer Ale packaging. This year’s winning design includes crashing waves and sunshine, practically begging to be enjoyed on the beach! Cheers! This entry was posted in Cigars and tagged alec bradley, cigar, cigar pairing, Don Schmidt, geary's summer ale, golf, maine, summer on June 18, 2014 by bottlesfinewine. Montecristo Has Landed! Don’s Cigar Pick of the Week! Introducing the Montecristo #2 Torpedo! Many consider the famous Montecristo cigar brand to be the finest cigar in the world. Montecristo is among the youngest (the most recent addition was the Cohiba in the 1960’s) of the traditional Cuban cigars. It was founded in 1935. The #2 is hand rolled in the Dominican Republic and finished with an elegant Connecticut shade wrapper. This refined cigar starts mild to medium and remains consistent throughout the entire smoke. Note the rich, creamy palate of wood, leather and a touch of spice. At 6 x 50, the #2 has the same roll as the familiar Toro shape, but with a tapered head, hence the Torpedo designation. Before the advent of radio, it was common for the rollers to be informed and entertained by a reader of lector. Legend has it that the rollers’ favorite story was the Count of Monte Cristo. To this day, the Montecristo cigar brand emblem carries a pattern of swords and majestic fleur-dis-lis, a symbol of the period’s French monarchy. With adventure and romance in mind, we’ve decided to pair this fine cigar with an even finer single malt, Ardmore Highland Single Malt Scotch Whisky. Since 1898, Ardmore has been creating smoky, traditional scotch that perfectly expresses aromas of the natural highland peat fires. They use handcrafted Oregon pine fermentation vessels for deeper, smoother flavors of creamy peat tang, ripe fruit, and soft vanilla. Take your time with this pairing to note the complexities in each…trust us, it’s worth it. This entry was posted in Cigars and tagged ardmore, cigar pairing, cigars, Don Schmidt, montecristo, single malt scotch, torpedo, whiskey, whisky on June 12, 2014 by bottlesfinewine. Tempus cigars are manufactured and distributed by Alec Bradley Cigars, a relatively new brand among premier cigar companies. Founded in the mid nineties, Alec Bradley produce a full line of outstanding quality cigars. The Tempus line has been rated a “94” and recently was placed among the top 25 cigars of the year. This robusto Tempus Terra Novo (5 x 50) is medium to full-bodied with a rich semi-sweet finish. As you smoke, it reveals complex flavors of dried fruit, cedar and touches of leather and coffee. Very impressive! Just to make sure, Don smoked one last evening. He would highly recommend pairing this cigar with El Dorado Dark Rum from Guyana. On the bank of the Demerara River, local sugar cane is crushed, pressed, and boiled to create molasses. This unique flavor creates the base for all of the El Dorado rums. El Dorado uses a wooden Coffrey Still from 1880, it is the last of it’s kind in the world and the years of delicious rum distilled in this unusually tall still imparts a unique flavor to the rum. They refresh the still with new wood, small sections at a time to preserve the essence of the rums. El Dorado also utilizes a Double Wooden Pot Still and Single Wooden Pot Still from 1732, these stills create deliciously dark and rich rums. Enjoy this pairing outdoors and on the water! Cheers! This entry was posted in Cigars and tagged alec bradley, cigar pairing, cigars, demerara, Don Schmidt, el dorado rum, guyana, tempus, tempus terra novo, tiki on June 5, 2014 by bottlesfinewine.